Spring is that magical season when avian migrants return north from more balmy climates. 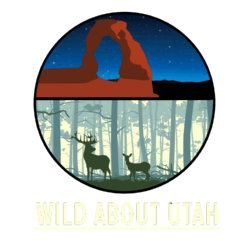 Utah’s migrants range from ponderous pelicans to tiny hummingbirds, honking geese to crying curlews. Many arrive as they departed, in flocks. But why fly in a flock at all? One reason is predator evasion, the same reason that minnows school and elk, bison and deer bunch in herds. Embedded in a swirling mass of birds called a swarm flock, an individual bird is less likely to be picked off by an aerial predator, such as a falcon or a Cooper’s Hawk. A raptor diving into a swarm flock risks collision and injury. Targeting a bird in a swirling group is visually difficult too. Flying in a flock gains safety, but at what cost? Pigeons flying in a swarm flock take shallower, more frequent wing strokes than a solo bird. Faster wing beats probably provide more control to better negotiate turbulent aerial traffic, but extra flapping costs more in energy. In contrast, pelicans and other big birds often fly in tidy formation flocks. Flying in a vee formation, a trailing pelican’s heart beats 13% slower than the lead bird. That’s because a trailing pelican flaps less than the leader. Unlike pigeons, then, a pelican flying in a formation flock uses less energy, not more. Big birds with slow wing beats share aerodynamic attributes with airplanes. Some of the air under their wings swirls out from under the tips, creating a spiraling vortex that trails the wing tip. Flying in a tight vee formation, each trailing bird gets a bit of lift from the upwash created by that vortex, and so it can flap a little less and glide a little more. Lead birds tire more quickly, so leaders change periodically. Leaders lose their zip, not their way. 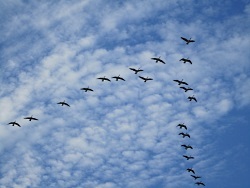 In a vee, birds also have their flock mates in good view, which is needed for the tight precision of a formation flock. 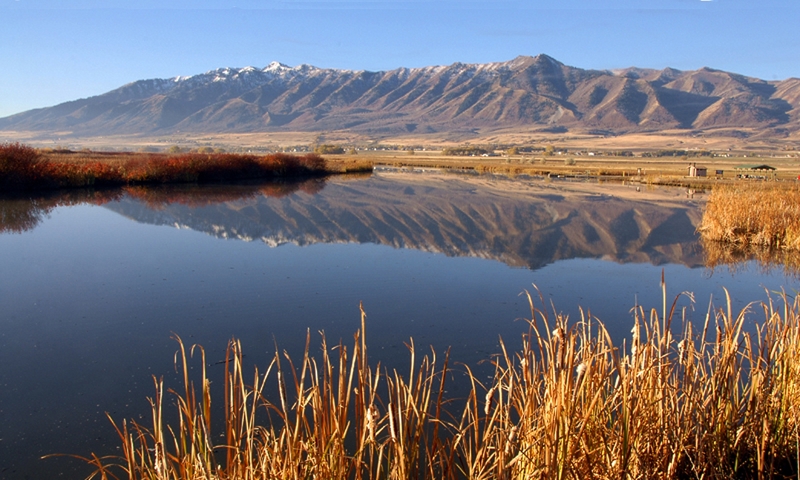 Pelicans, swans, geese, cranes, ibis, ducks, godwits, they all ply the Utah sky in formation flocks. They may be bird-brained, but our bigger migrants know a thing or two about aerodynamics. Spectacular flock (called a “murmuration”) of starlings, Sophie Windsor Clive & Liberty Smith, http://www.youtube.com/watch?v=iRNqhi2ka9k As viewed from Islandsandrivers.com. Contains advertisements. Avian flight by John J. Videler. 2005. New York, Oxford University Press. 258 pp. Usherwood JR, Stavrou M, Lowe JC, Roskilly K, Wilson AM. 2011. Flying in a flock comes at a cost in pigeons. Nature. 2011 Jun 22;474(7352):494-7.